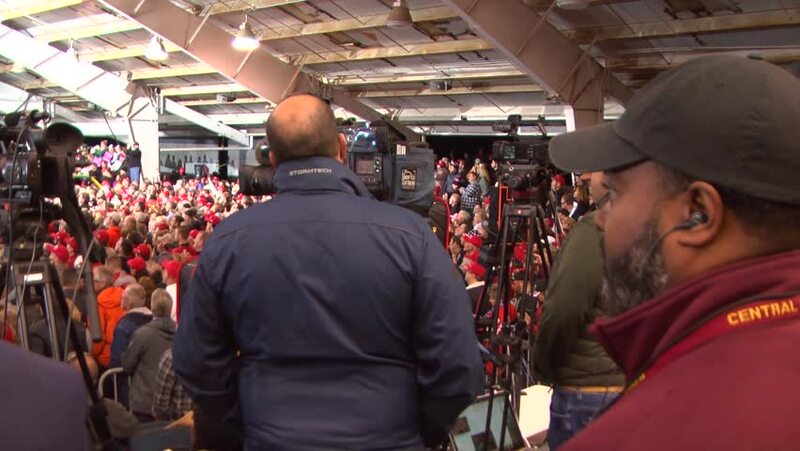 LEBANON, OHIO, USA - OCTOBER 12, 2018: View from the media pen of supporters and president Donald Trump (introducing Senator Rob Portman) at a rally at the Warren County Fairgrounds in Ohio. hd00:17LEBANON, OHIO, USA - OCTOBER 12, 2018: View from the media pen of supporters and president Donald Trump rally at the Warren County Fairgrounds in Ohio. hd00:15HEBRON, ISRAEL - DECEMBER 10: Jews visit and pray at the Cave of Machpelah, aka Cave of the Patriarchs, the burial place of 3 Biblical couples in ancient Hebron, December 10 2010, Hebron, Israel. 4k00:16TAIPEI, TAIWAN - JANUARY 23 2018: day time taipei city market street walking slow motion panorama 4k circa january 23 2018 taipei, taiwan.